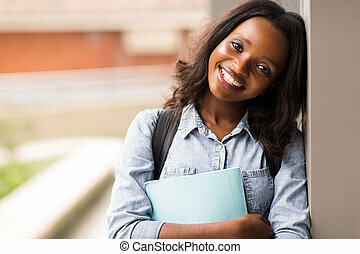 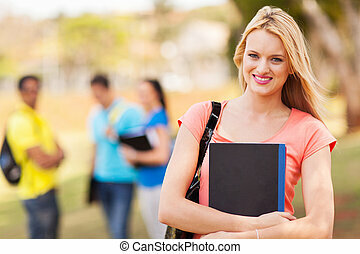 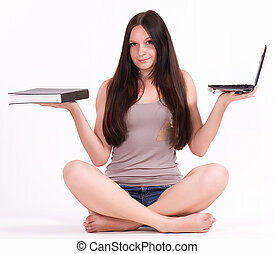 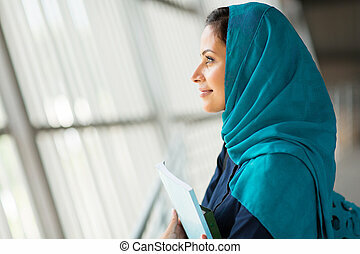 Beautiful female middle eastern college student in front of chalkboard. 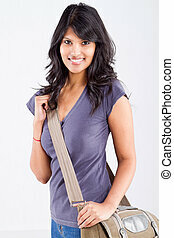 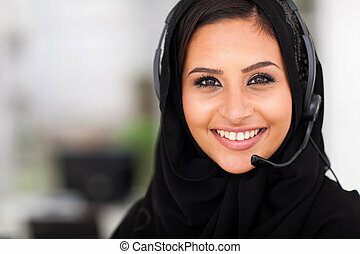 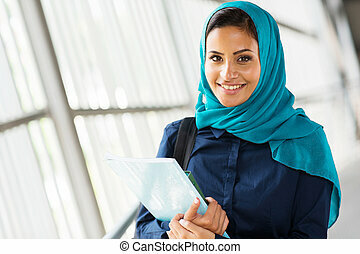 Close-up of beautiful female middle eastern college student. 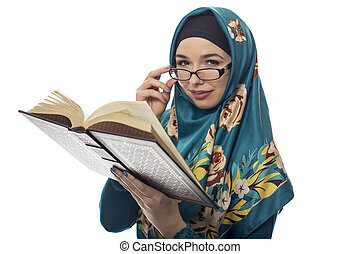 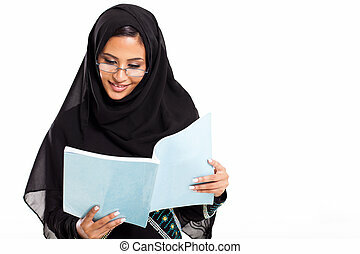 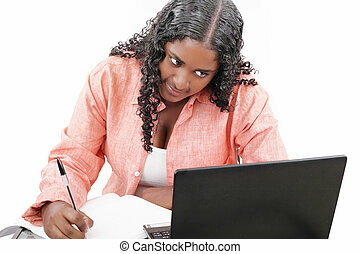 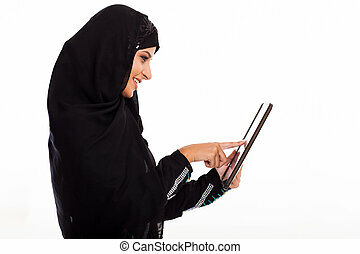 Female foreign exchange student wearing glasses and a hijab reading a text book. 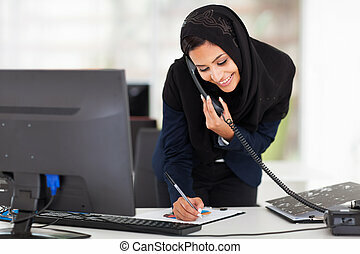 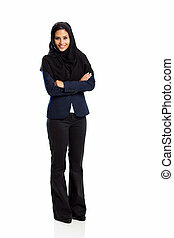 The conservative outfit is associated with muslims or middle eastern and east european culture.